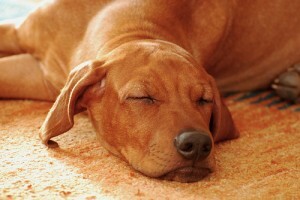 You may recall, in a previous article I wrote for this site – http://www.pattiknows.com/3-common-relationship-symbols-dream/ – I mentioned that dogs are the number one symbol in our dreams that points to relationship issues. Dogs are known for being man’s best friend and loyal companions. Because of this, dogs in dreams have come to represent our own loyalty towards someone as well as someone’s loyalty towards us. Lauri: The puppy may represent a new relationship or new friendship in your life that ended just when it seemed to be getting started… and ended by your own doing since you were the one who pretty much put an end to the puppy in the dream. Turning around in the dream is likely connected to you looking back on what you now see as a big mess. Hindsight is always 20/20 as they say. Kate replies: I recently started talking to my ex mostly because we were definitely better as friends, but I told him I could no longer talk to him because he needs serious psychological help for depression. It hurt to do it because he was a good friend and I have a boyfriend, but I had to. Since I sent you the dream I had another one that I ran over a wooden board with nails in it. All four of my tires went flat. I can’t help but think the two dreams are related. Lauri replies: I have no doubt that they are. The board with the nails in it suggests that you are boarding up this old relationship, like when you board up a window that is broken in order to keep the elements out or when you board up a shop that is closed for good. And I think the fact that all your tires were flattened represents two things: that this deflated you to have to do this and it stopped the direction that it was heading, which probably was not a good direction. Painful to do, but the right thing to do. Good for you! Kate replies: Yea, it was not a good direction especially since I’m with somebody else. But I’m glad I stopped it before it got out of hand. It all makes sense. Thank you! Have you had any dogs in your dreams lately? Share them below and I will help you figure them out!